Trinidad Jame$ is basically a superstar at this point, and this trailer pretty much confirms it. And if he doesn’t make XXL‘s 2013 Freshman List I’m cancelling my subscription. Not really, but you get my point. Check out the upcoming "Gold Chronicles" trailer after the jump. Trinidad Jame$’ previous "Gold Chronicles" Episodes 1-4 pretty much documented his early months, so if you missed his meteoric come up check that out too. Mr. 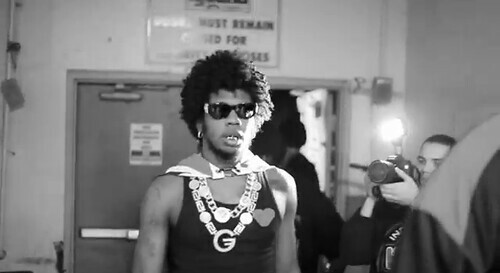 Grind — “All Ashy Everything” Trinidad Jame$ "All Gold Everything" Parody (Video). This entry was posted in Trailer and tagged Trinidad Jame$. Bookmark the permalink.